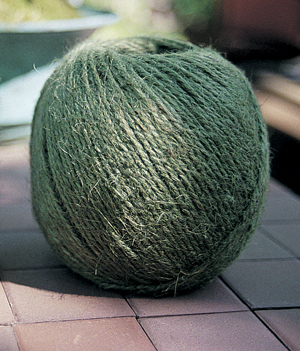 Green jute twine is useful for so many jobs in the garden. Unobtrusive in appearance, it is non-toxic and biodegradable, too. 150 meter ball equals 492 feet. PLEASE NOTE THAT THIS ITEM IS NOT A REFILL FOR THE TWINE IN A CAN.